The Saints added right-handed pitcher Ty Sobczak to their staff as the season draws nearer. Sobczak is from Petoskey and is currently pitching at Alma College. 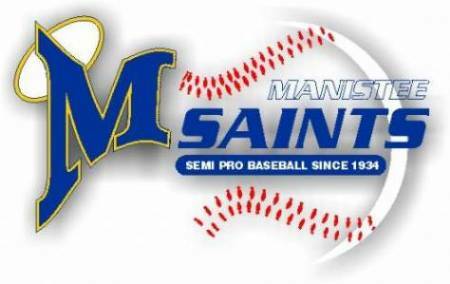 The Manistee Saints added left handed pitcher Zach Platt to their '19 roster. Platt, from Elk Rapids, is currently on the roster at Rochester College and will fill a spot in the Saints bullpen. At the same time Manager Tyrone Collins announced the addition of Scot Latimer to his coaching staff; Latimer serves as an assistant coach at Ludington High School. Speedy outfielder Logan Briggs notified Coach Collins he will be returning to the Saints for the 2019 season. Briggs was limited to just 8 games played in 2018 but hit .348 and had 3 stolen bases. Briggs will solidify a strong Saints outfield. The Saints added infielder Lucas Weinert to their roster on Monday. Weinert is attending Bay College and is playing third base for their team. He is expected to fill an infield spot for the Saints this summer. The Manistee Saints added a pair of players to their 2019 roster with the recent commitment of right hand pitcher Cam Fewless (2-3. 3.07) and battery mate Preston Shazri (.273). Both played major roles in the Saints 22 win season in 2018. 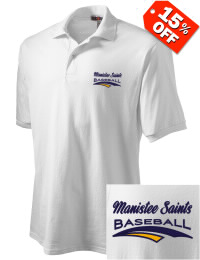 With Major League teams reporting to Florida and Arizona, spring must be just around the corner and the Manistee Saints roster has begun to take shape too. The team roster has expanded to 15 players including last years player-of-the-year Nick Brzezinski and left hand slugger Alex Strickland. Brzezinski was among the top hitters on the team last year with a .380 average while Strickland stroked the ball at a .367 clip.